What is Maqui? Maqui is pronounced as “Ma-Key”. Nutri Maqui Fruits Proprietary Blend, is a mix combining the stunning dark purple maqui berry with acai berry, pomegranate, elderberry, blackberry and raspberry. These berries are very rich in nutrients, contain a variety of antioxidants, vitamins and minerals. 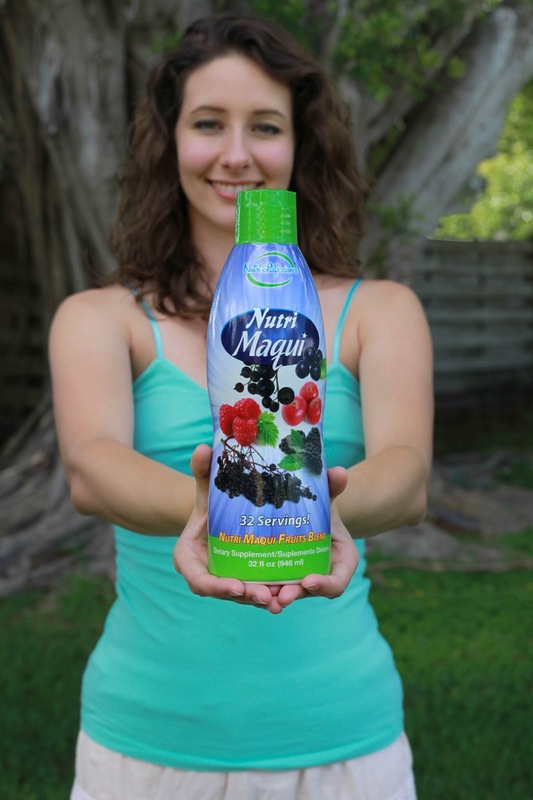 Nutri Maqui has its primary active ingredient -- the maqui berry. This superfruit is grown in the Patagonian region of South America and is nature's richest known source of antioxidants. These essential nutrients support healthy inflammatory response, optimal immune function, oxidative stress relief, and overall longevity. The maqui berry is a nutritional powerhouse, and Nutri Maqui is the easiest, tastiest way to take advantage of this fruit's antioxidant benefits. 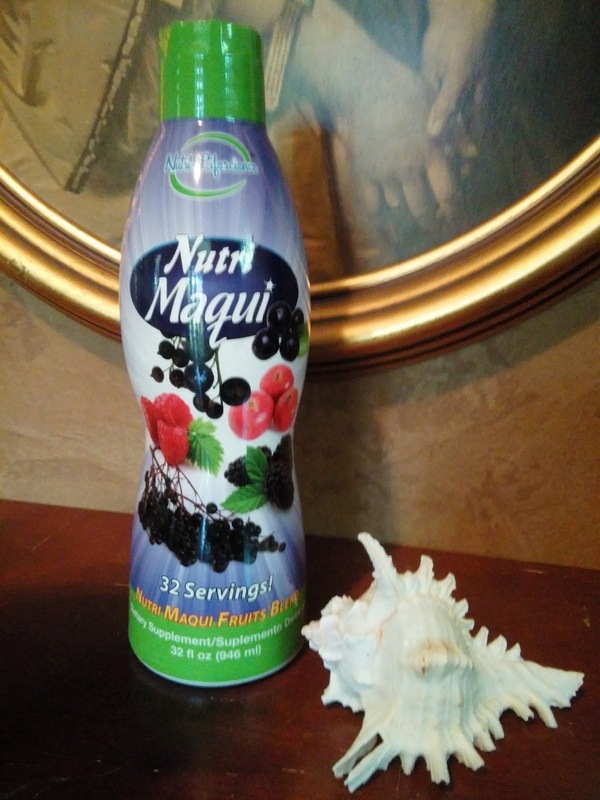 An excellent source of energy-boosting power, Nutri Maqui can be consumed absolutely anytime. Can be added to fresh fruit and Greek yogurt in the morning for a protein-packed breakfast shake. It's also ideal for pre-workout fuel, post-workout recovery, or a healthy afternoon pick-me-up that sure beats processed junk food! -Suitable for Vegatarian & Vegan. 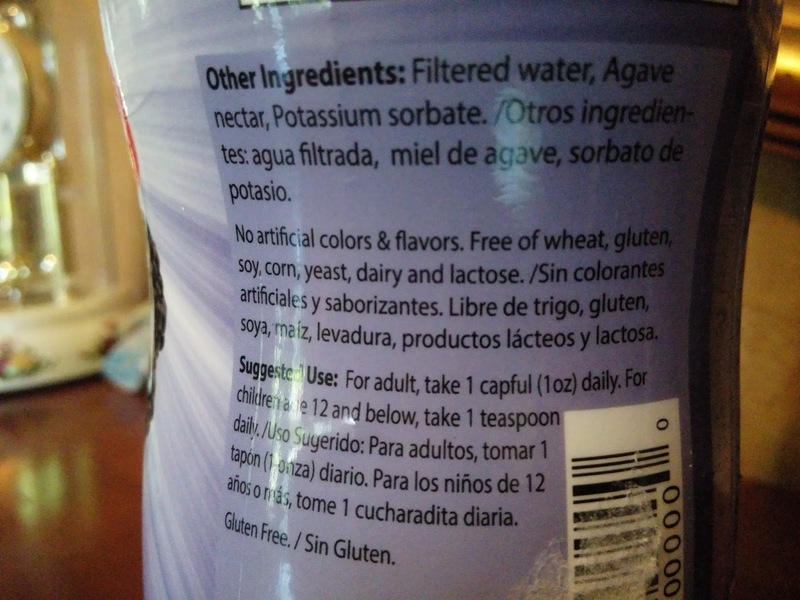 -Nutri Maqui does not contain artificial colors or flavors, wheat, gluten, soy, corn, yeast, diary or lactose. -Nutri Maqui can be sprinkled onto salad, blend with fat free/ low fat ice cream, mix with smoothies, milkshakes or yogurt. Watch our 2 min commercial http://youtu.be/RcSpUcgzFgQ for more understanding. Supports Healthy Inflammatory Response* (please do not use the word "anti-inflammatory"
This is a pretty good size bottle (32oz) and with the recommended serving being only 1oz, it will last just over a month! The directions state to shake well and serve chilled. The lid is approximately one ounce so that is what I used to measure. It's great that I am able to use the lid because I'm not having to dirty up a small glass. Win Win! I wasn't sure what to expect when I opened the bottle. Other products I have tried claim they taste good but turn out tasting really bad. The Nutri Maqui Superfruits actually tasted like a mixed fruit drink just a bit more concentrated. It almost smelled like Prune juice with a little twang to it. The consistency of the liquid is that of a regular drink. I tried the drink by it'self as well as in a glass of ice. Either way the drink tasted the same to me and was a pleasant tasting drink. 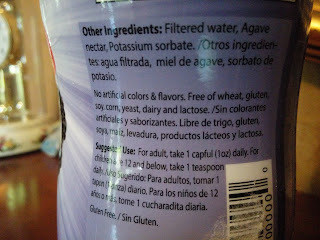 I really like the fact that this is Gluten free! So unless someone has an allergy to a certain fruit, this drink can be consumed by most anyone without guilt or fear of having a reaction. 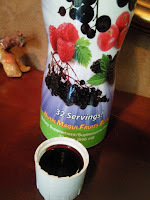 Fruits are a great way to keep the body healthy so I think this is a great supplement to add into ones daily routine. There are many ways that it can be added into meals or even in smoothies to give you that extra boost of flavor. I would recommend to others looking for something healthy and tasty! To remove TheMagicLift, simply wash the skin with facial soap and warm water. Do not try to peel the product with your hands or any other utensil. Results vary according to your skin type. 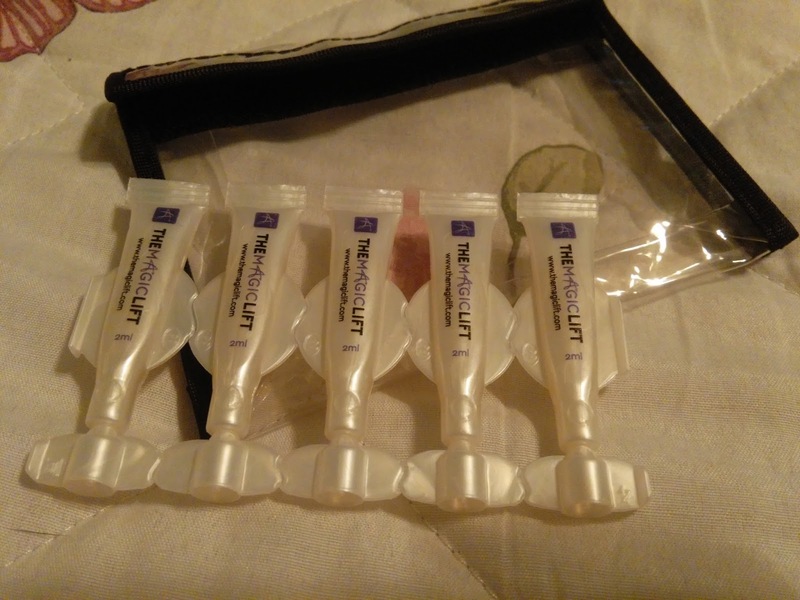 I received the great opportunity to try this product for free and share my opinion about it! I have to admit that I have been searching for a product such as this that can give instant results. Recently turning 40 has given me more motivation to look my best, so finding that perfect product is very important to me! First off, I would like to say that I appreciate that this product comes with a bag to store it in. It makes everything smooth going and I don't have to worry about searching in my make up bag or purse to find it. 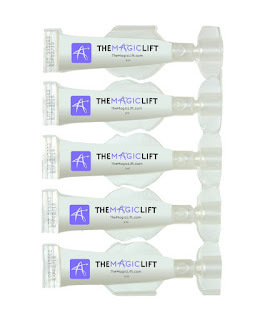 The Magic Lift is a gel like clear cream the you can apply to areas of your face and neck. When applied, it felt cool to the skin and as it dried had a tightening feeling to it. 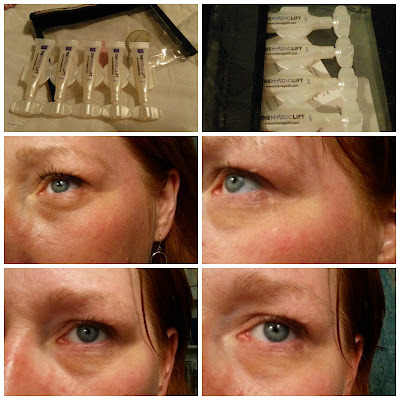 The gel didn't burn or irritate my eyes but if not careful it can get into the eye area and irritate. Although this is not a skin care cream that has lasting results, it's instant function is great for when your going out or just want that extra boost of confidence! 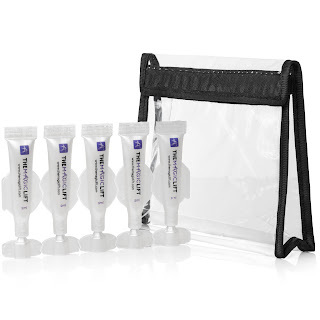 The set comes with 5 vile's tucked away in an easy carry case. 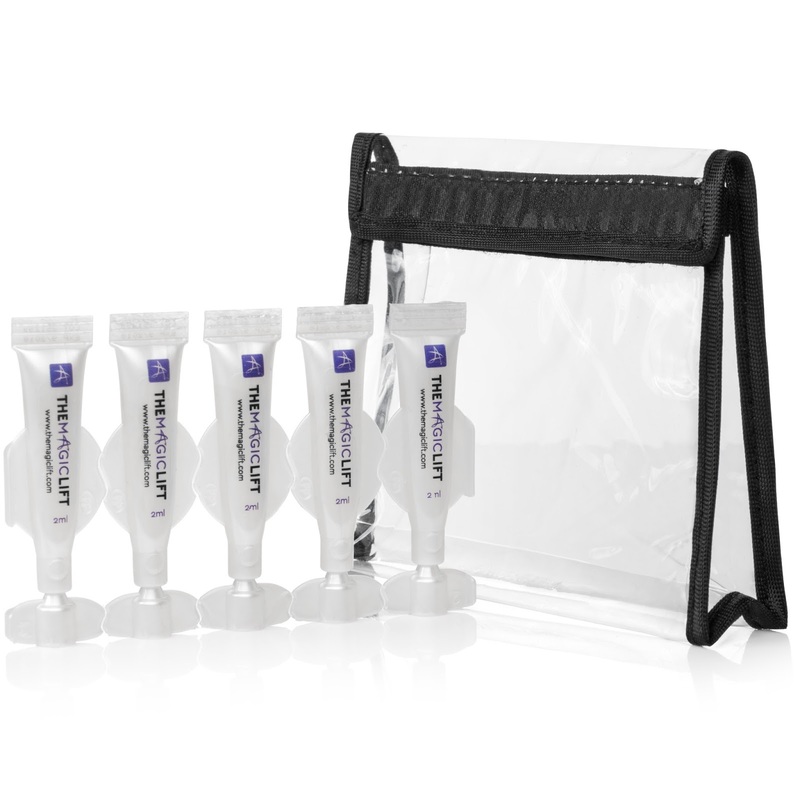 Each vile, depending on how many areas you want to use it on, lasts a few applications. It has a twist off cap on each vile and once done, can be replaced for future use. I feel this is a great feature to the product as I'm not having to waste what has not been used. Once I used the product under my eyes it took approximately 2 minutes to dry but the results were pretty amazing! The puffiness under my eyes dissipated and I looked 10 years younger! Well I think I did! Even a bit of my crows feet were tightened and firmed and were barely noticeable. I applied the product before I put on my make up and didn't have any issues with blotching or residue. I tried applying before make up and later after the product had wore off and didn't have any issues putting it on over my foundation. I was very pleased with the product and the results it gave my skin. The product description states that it can last between 3-8 hours and for me, it lasted about 5 before I had to reapply. 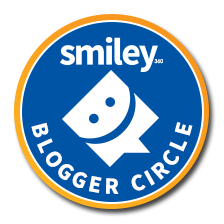 I shared one of the viles with a few friends and they were also pretty impressed with how well and how fast the product worked on their skin. I will definitely be recommending the Magic Lift to all my friends! Ever wanted a product that you can use while baking that is easy to clean and wont stick to your food? Then you will absolutely love the‪ ‎Frazoni Silicone Baking Mat‬ ! 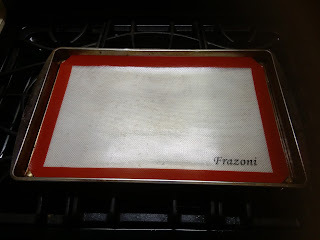 The baking mat is a healthier alternative to baking with more conventional baking sheets because you will no longer have to add sprays and oils. This is safe to use in your microwave and oven and can also be used in the freezer! 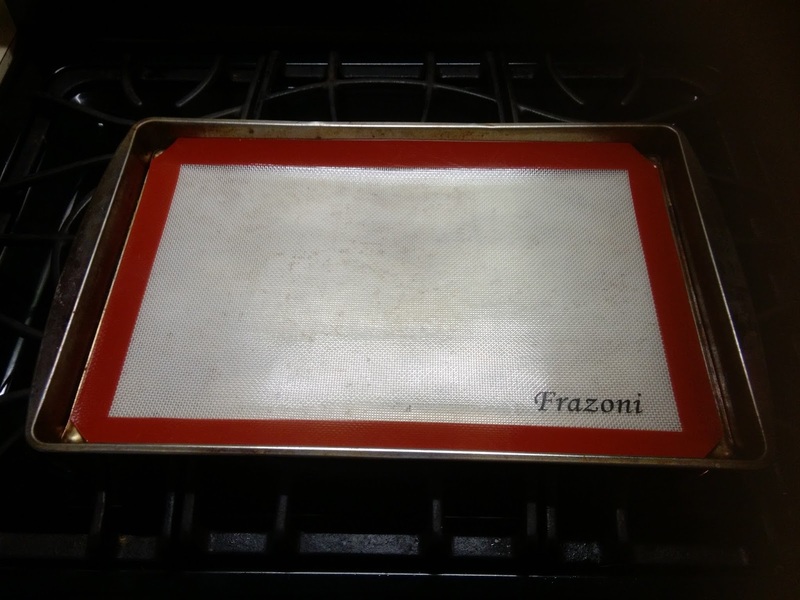 Size-11-1/32 x 16-17/32 inches; Fits US Half Size baking sheets and is safe to use from -40*F to 480*F Wash before use. Dishwasher safe. Make delicious desserts without the hassle and worry of everything sticking to the bottom of the pan. 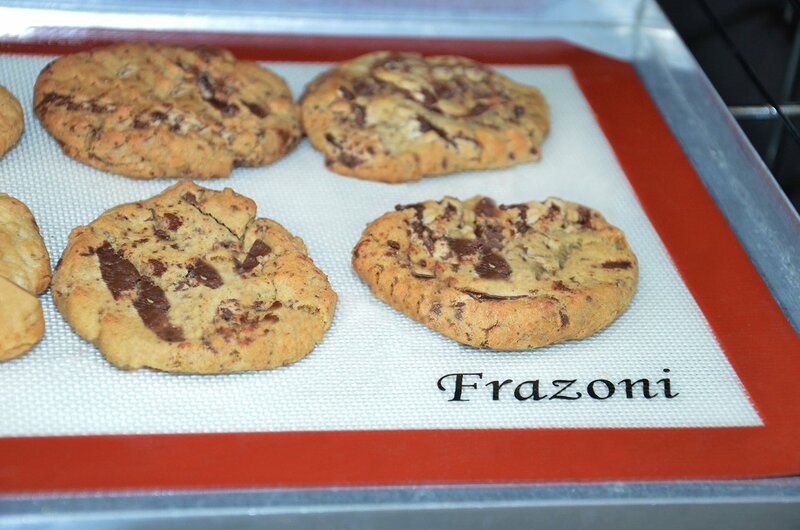 Use the mat for baking your cookies and as a cooling rack. 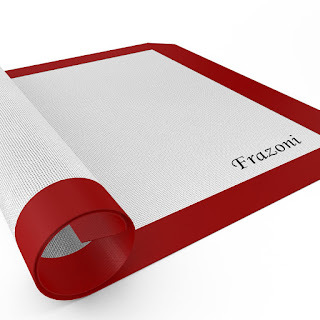 With the Frazoni Baking mat, the possibilities are endless in the kitchen. 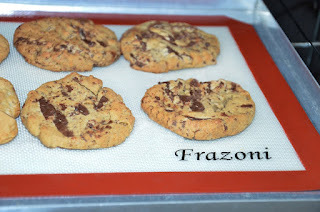 This is a lightweight baking mat that is easy to use, easy to clean and easy to store. I'ts flexible material makes it perfect most all of your baking needs. I like how it's multi functional as I can use it to prep, cook and even store items in the freezer. It fits inside the standard baking sheet so I'm not losing any cooking space and it keeps food from sticking to the surface of the mat. 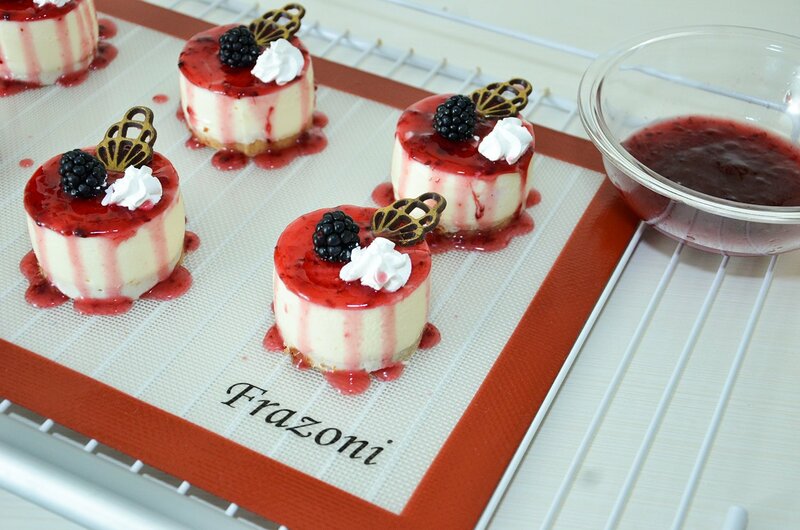 This has been my first experience using a baking mat like this and I have to say I was pretty impressed with it. It's durable so I feel, if cared for properly, will last a long time. It's flexible so it's very easy to store, food doesn't stick and I didn't have to use any artificial sprays or grease when cooking. I would recommend this product for any kitchen! 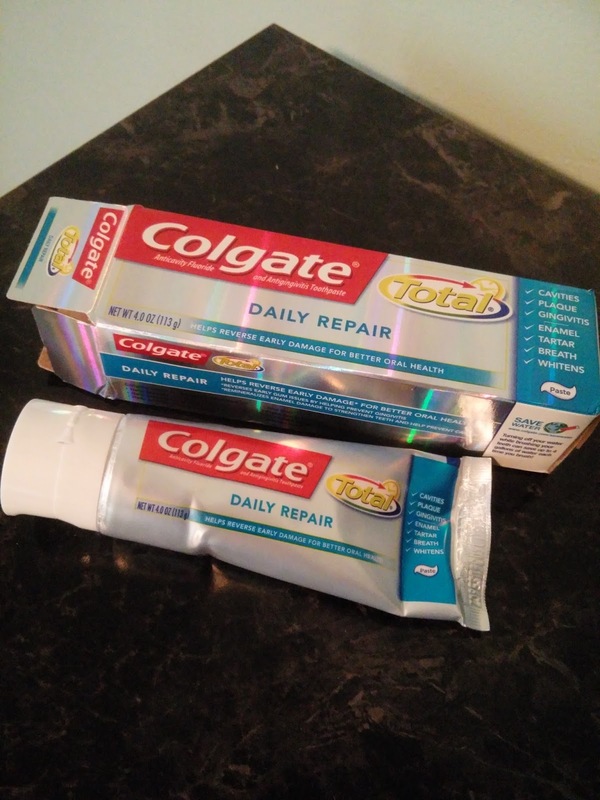 I had the great opportunity to try Colgate Total Daily Repair for free through the Colgate-Palmolive company for review purposes. I received the new Colgate total Daily repair Toothpaste, new Colgate Total daily Repair Mouthwash and a Colgate 360 Total Advanced Floss-Tip Bristled Toothbrush. All products are available at mass retailer and grocery stores nationwide! The Colgate Daily Repair Toothpaste has a cool minty flavor that isn't so powerful that it burns my mouth. Some toothpaste has a very strong taste and way too much for my mouth to handle. It also wasn't gritty feeling and didn't leave a residue feeling on my teeth when I was finished brushing and left my mouth feeling clean. I like the flip top feature of the tube. I'm able to seal the toothpaste back up so that no bacteria gets in nor any spillage happens from the top of the tube. 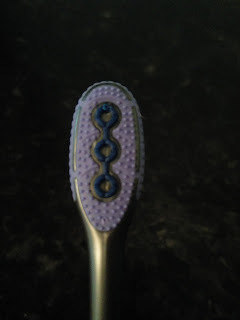 The only issue I had with the toothpaste was that it seemed to foam up way to much when brushing. 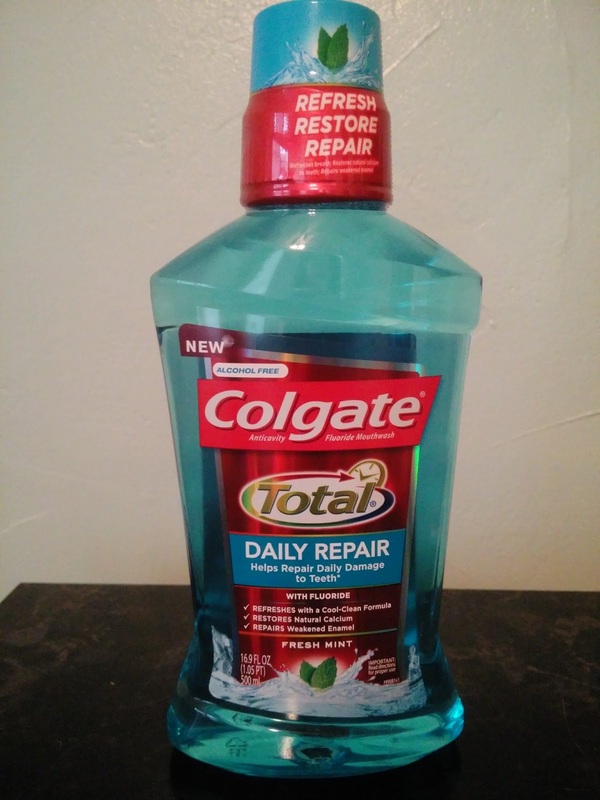 The Colgate Daily Repair Mouthwash has a cool mint flavor that you can really feel when using it. It doesn't burn as it has no alcohol. The only way for me to describe how it feels is like your taking taking cool water and splashing it on your face during a hot day! It felt refreshing and also left my mouth feeling very clean so I knew my breath was smelling good! The lid of the bottle was a normal one you would find on mouthwash. It was easy to squeeze, twist and open and just as easy to replace when done using it. 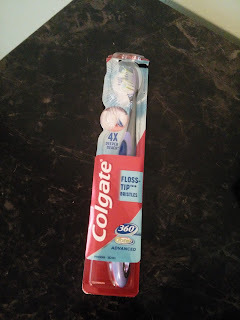 I really like the Colgate 360 toothbrush! It has a unique and attractive design that seems to address every area of the mouth. It has layered bristles that reach most areas and doesn't feel rough on my gums. I appreciate the cheek and tongue cleaner on the toothbrush head, I feel it saves me a lot of time and makes my mouth feel cleaner. The handle on the toothbrush has rubber grips so that your fingers don't slip while brushing and it's very comfortable to hold in my hand. This is a great manual toothbrush and will continue to use this product. I would love to see these features on battery operated toothbrush! Keeping my mouth healthy, clean and fresh is very important. I'm constantly on the go, talking with and meeting new people. I want to make sure that they have a pleasant experience while talking with me. All in all, I feel that the Colgate Total Daily Repair products work very well together and have accomplished what they are set out to do. 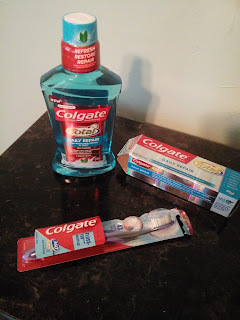 They make my mouth feel clean and refreshed and I would definitely recommend using this product!